Dave Farley has been having fun with computers for nearly 30 years. Over that period he has worked on most types of software, from firmware, through tinkering with operating systems and device drivers, to writing games, and commercial applications of all shapes and sizes. He started working in large scale distributed systems about 20 years ago, doing research into the development of loose-coupled, message-based systems - a forerunner of SOA. He has a wide range of experience leading the development of complex software in teams, both large and small, in the UK and USA. 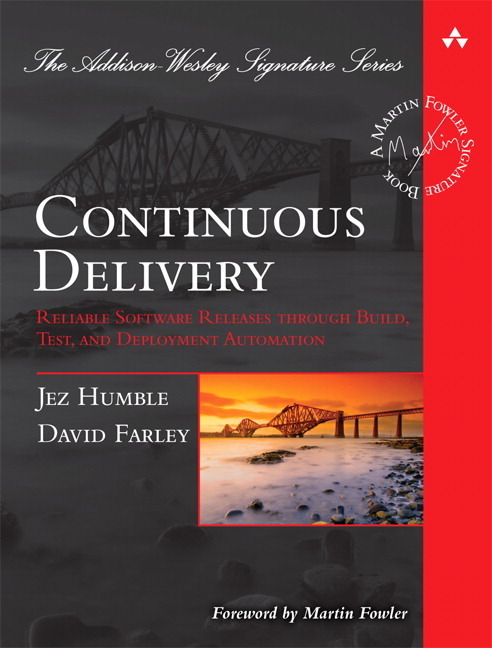 Dave was an early adopter of agile development techniques, employing iterative development, continuous integration and significant levels of automated testing on commercial projects from the early 1990s. He honed his approach to agile development in his four and a half year stint at ThoughtWorks where he was a technical principal working on some of their biggest and most challenging projects. Dave is currently working for the London Multi-Asset Exchange (LMAX), an organization that is building one of the highest performance financial exchanges in the world, where they rely upon all of the major techniques described in this book. Jez Humble has been fascinated by computers and electronics since getting his first ZX Spectrum aged 11, and spent several years hacking on Acorn machines in 6502 and ARM assembler and BASIC until he was old enough to get a proper job. He got into IT in 2000, just in time for the dot com bust. Since then he has worked as a developer, system administrator, trainer, consultant, manager, and speaker. He has worked with a variety of platforms and technologies, consulting for non-profits, telecoms, financial services and on-line retail companies. Since 2004 he has worked for ThoughtWorks and ThoughtWorks Studios in Beijing, Bangalore, London and San Francisco. He holds a BA in Physics and Philosophy from Oxford University and an MMus in Ethnomusicology from the School of Oriental and African Studies, University of London. He is presently living in San Francisco with his wife and daughter. –Rob Sanheim, Principal at Relevance, Inc.